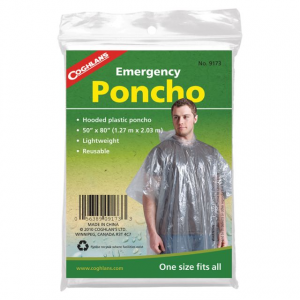 Visit Coghlan's's Emergency Poncho page. 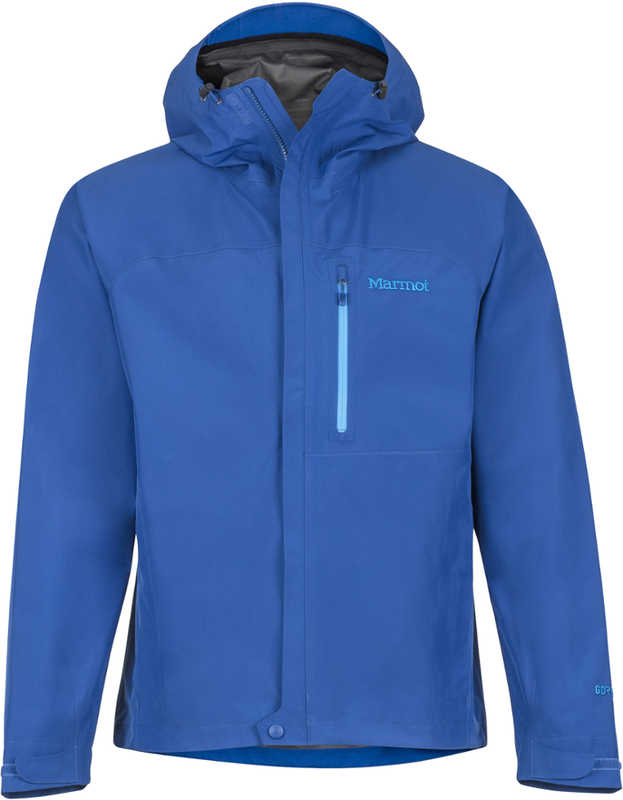 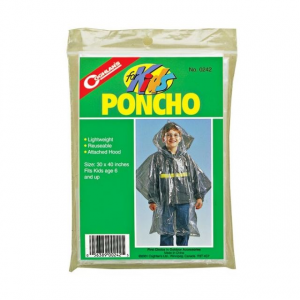 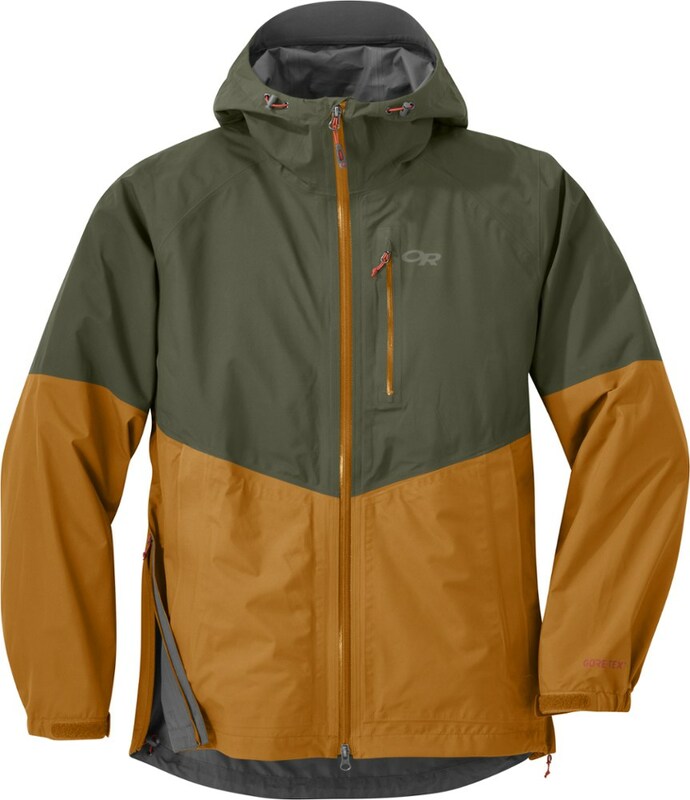 The Emergency Poncho is a lightweight vinyl 50 x 80 inch protective layer for unexpected weather. 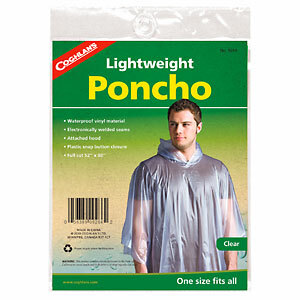 Cheap rain protection that you can count on, the Emergency Poncho from Coghlan's is perfect for sudden storms and early-spring sporting events. 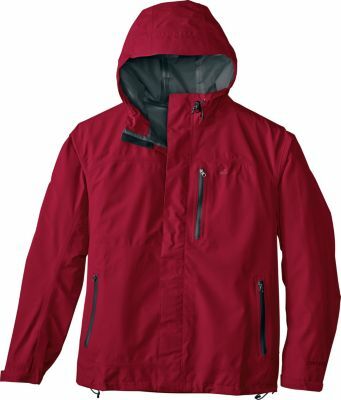 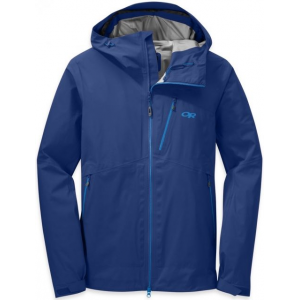 PRODUCT FEATURES: Assorted Colors Double-thick hems all around for improved strength 2 snaps on each side to adjust fit for taller or shorter people Roomy hood Fits over many backpacks Size: 52" x 80"